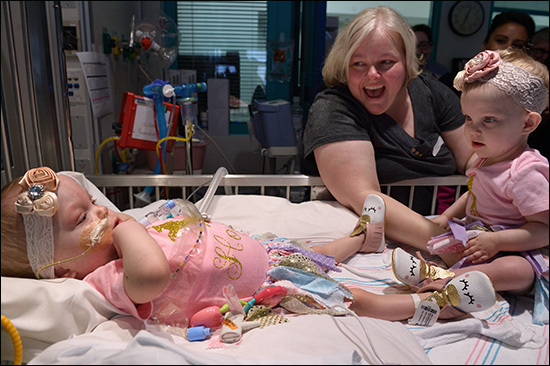 Hope Elizabeth Richards, one of the formerly conjoined twin girls separated at Texas Children’s earlier this year, was discharged April 25 after spending 482 days in the hospital. 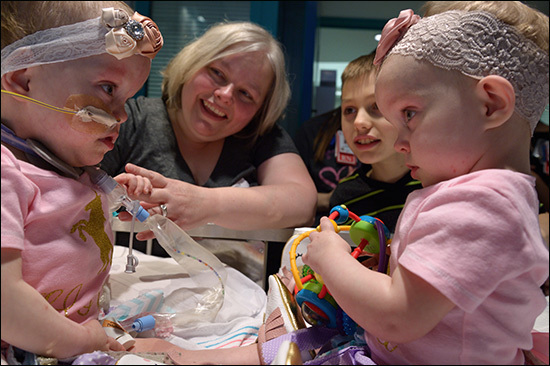 Hope joined her sister, Anna Grace, who was discharged on March 2. The Richards family is looking forward to returning to their North Texas home soon. They are grateful for all of the support and prayers they received throughout their daughters’ journey. 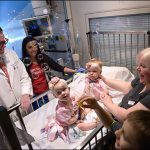 On January 13, Anna and Hope were successfully separated by a multidisciplinary team of nearly 75 surgeons, anesthesiologists, cardiologists and nurses from eight specialties performed the seven-hour procedure. 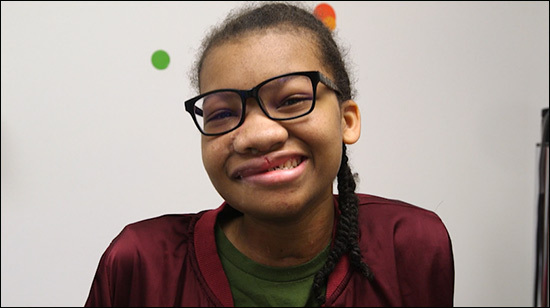 In preparation for separation, on November 6, 2017, Anna and Hope underwent surgery to place tissue expanders in order to allow their skin to grow and stretch. 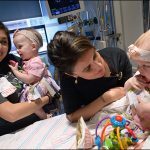 The girls were born on December 29, 2016 at Texas Children’s Pavilion for Women, weighing a combined 9 lbs. 12 oz. 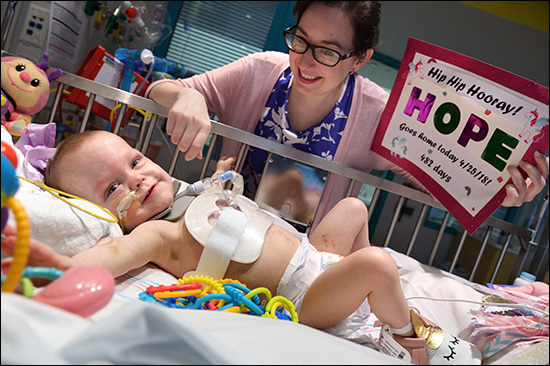 Delivered via Cesarean-section at 35 weeks and five days gestation, Anna and Hope were conjoined at their chest and abdomen, through the length of their torso and shared the chest wall, pericardial sac (the lining of the heart), diaphragm and liver. In addition, they had a large blood vessel connecting their hearts. They were welcomed by their parents, Jill and Michael, and older brothers Collin and Seth. 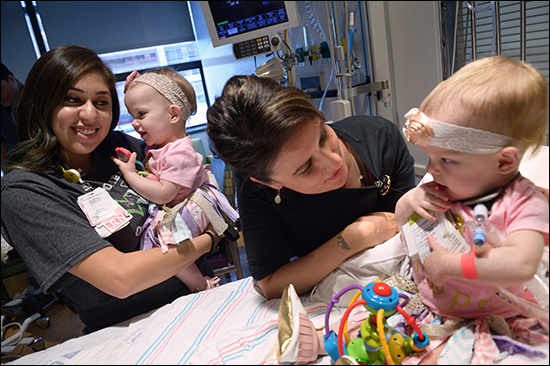 The Richards family, learned Jill was carrying conjoined twins during a routine ultrasound. The family was then referred to Texas Children’s Fetal Center, where they underwent extensive prenatal imaging, multidisciplinary consultation and development of plans to achieve a safe delivery and postnatal care. 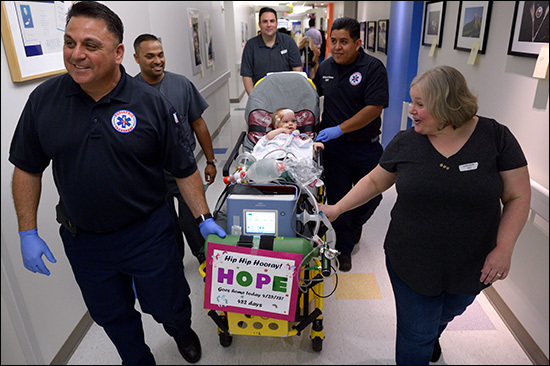 They temporarily relocated to Houston in order to deliver at Texas Children’s and to be close to the girls during their hospital stay. 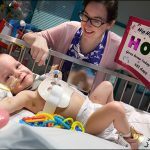 For the past year, Anna and Hope have been cared for by a team of specialists in the level IV and level II neonatal intensive care units (NICU). 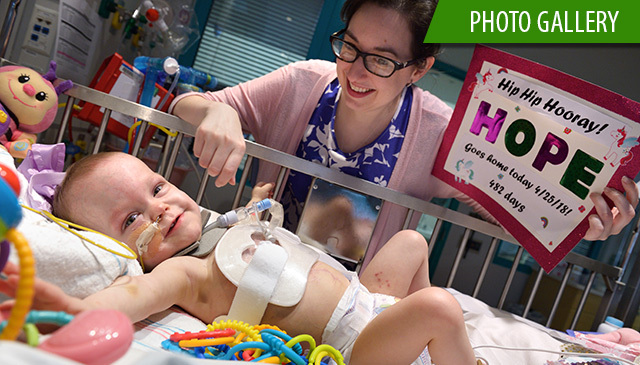 Texas Children’s is a large and growing health system with many specialties and sub-specialties. We take care of the sickest of the sick and provide routine pediatric care to otherwise healthy children. Many times that care involves not one medical expert but a team of medical experts, including pediatric anesthesiologist. 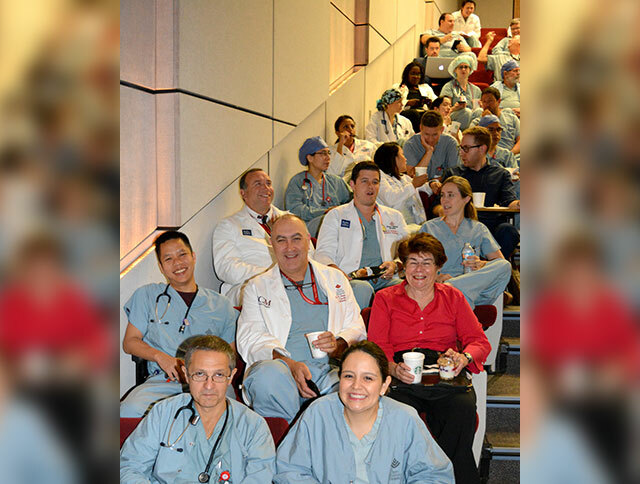 During a recent Department of Surgery Grand Rounds, Andropoulos discussed the strategic goals of his growing department and how it touches almost every aspect of patient care. 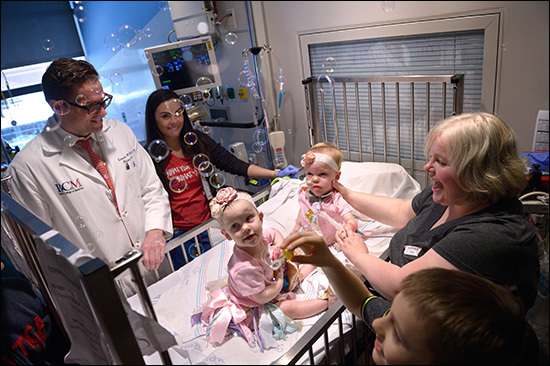 The department’s 78 pediatric anesthesiologists represent the largest group of pediatric anesthesiologists in the country. All are board certified or are in the process of becoming board certified and all provide anesthetic care in almost 60 locations on a daily basis. 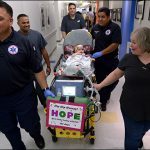 Across these locations, Texas Children’s anesthesiologists were involved in 43,456 cases last year, a 36 percent increase from the number of cases anesthesiologists participated in seven years ago. The majority of the cases worked last year, 68 percent, occurred in the operating room. The remaining 32 percent of cases happened outside the OR in various inpatient and outpatient settings. This level of expertise was recently exemplified by the expansion of the Pre-Anesthesia Screening Service (PASS) Clinic to Texas Children’s Hospital West Campus and Texas Children’s Hospital The Woodlands. These clinics are involved in pre-anesthetic consultation and planning for patients with complex medical problems or who are undergoing complicated surgical procedures. Patients are evaluated by anesthesiology nurse practitioners and anesthesiologists, and an anesthetic plan is developed that is communicated to parents, surgeons and procedural physicians. This planning leads to improved patient and family education, better outcomes and fewer delays and cancellations of surgery. 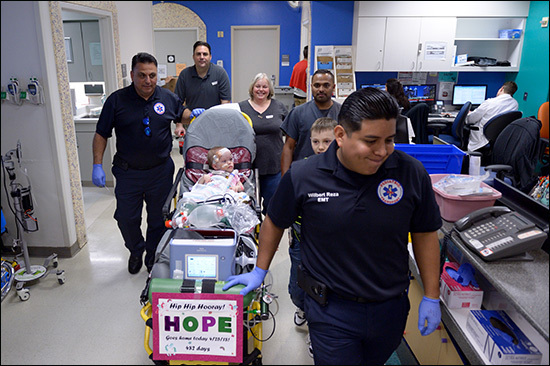 This service emphasizes the increasing role of pediatric anesthesiologists as perioperative physicians whose expertise benefits patients all across the Texas Children’s system. 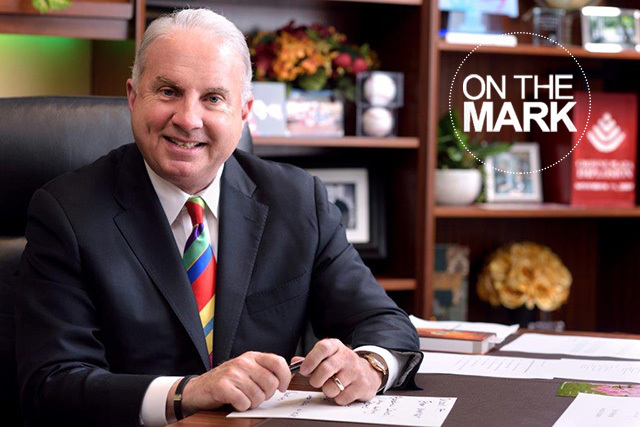 Being part of an academic center, Baylor College of Medicine, allows the Department of Anesthesiology, Perioperative and Pain Medicine to continue to strengthen and grow its already solid knowledge base, Andropoulos said. In addition to providing top notch clinical care, the department’s clinical staff is involved in numerous clinical and basic science research protocols, many of which are funded by the National Institutes of Health. Just last year, the department’s faculty published over 40 articles peer reviewed journals. They also served as editor and/or author of eight textbooks, including Anesthesia for Congenital Heart Disease, 3rd Edition. The textbook is the leading reference source for the field. 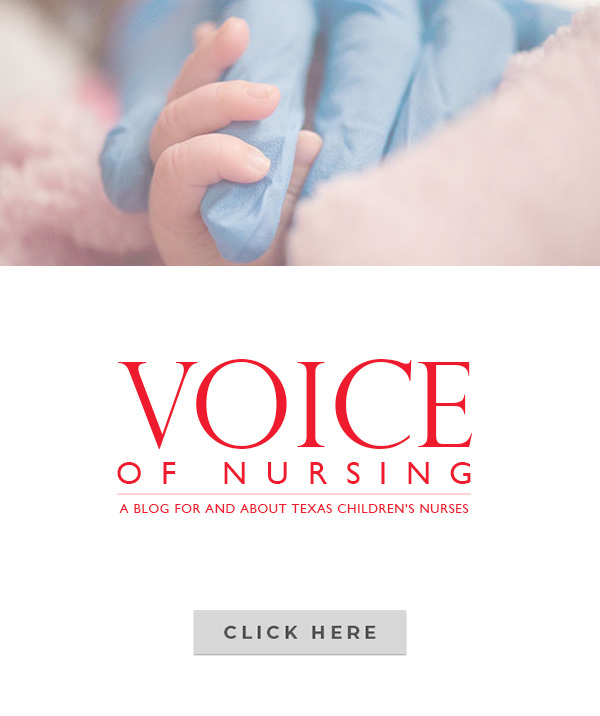 The department has taken a lead in educating anesthesiologists at Texas Children’s and beyond about the Federal Drug Administration’s recent warning that repeated or lengthy use of general anesthetic and sedation drugs during surgeries or procedures in children younger than 3 or in pregnant women during their third trimester may affect the development of children’s brains. To enhance patient experience by design and enhanced method of measuring anesthesiology patients satisfaction data. Expand pain services by creating a strong business model for the service line and engaging and strengthening collaborative partnerships with clinical specialties to increase access to care for pain patients. Increase research grant funding and resources by growing the volume of peer reviewed journal publications and grant proposals in the department and acquiring more funding from major grant proposals. 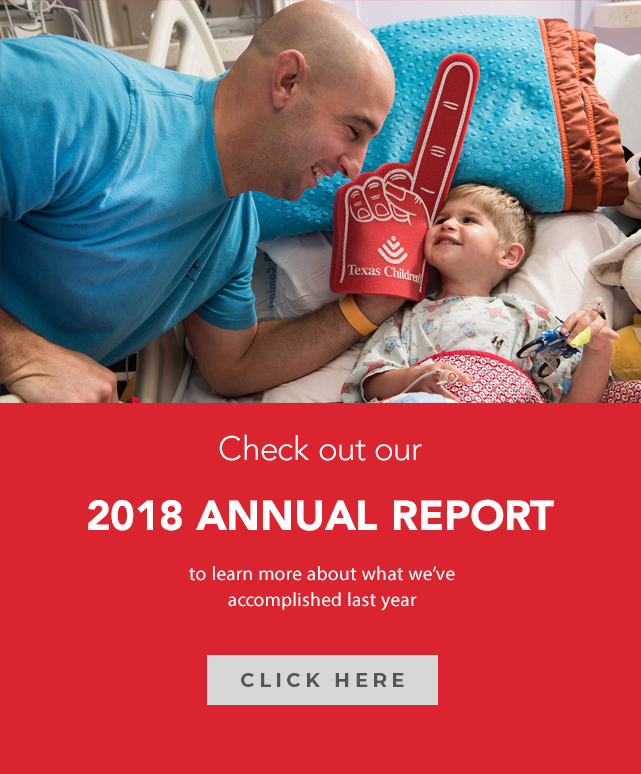 For more information about Texas Children’s Hospital Department of Anesthesiology, Perioperative and Pain Medicine, visit the department’s website at http://www.texaschildrens.org/departments/anesthesiology or call ext. 4-5800. 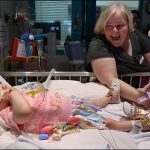 With the help of physicians in interventional radiology, anesthesiology and pathology at Texas Children’s Hospital, children in Vietnam suffering from severe and debilitating vascular anomalies are getting the help they desperately need. At the beginning of the year, a medical team from Texas Children’s traveled to the University of Medicine and Pharmacy Hospital in Ho Chi Minh City, Vietnam to examine and treat patients with vascular anomalies as well as to train medical staff at the University Hospital to perform certain life-altering procedures on their own. The effort is an extension of the active collaboration between the Vietnam Vascular Anomalies Center (VAC) based in Ho Chi Minh City and the Global Pathology program at Texas Children’s Hospital, launched in 2013 by Dr. Thuy Phung, a pathologist and associate director of Texas Children’s Global Pathology. 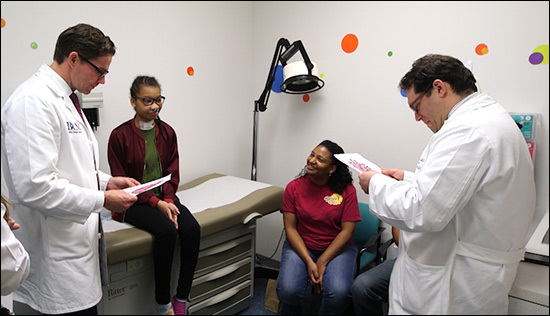 Global Pathology is based in the Department of Pathology, under the leadership of Texas Children’s Pathologist-in-Chief Dr. James Versalovic. The Vietnam VAC was established in 2009 by Phung and a team of physicians at Harvard Medical School and Ho Chi Minh City. Its mission is to provide safe and effective humanitarian medical care for underserved Vietnamese children with vascular and pigmented birthmarks, and to promote active collaboration between Vietnamese and U.S. physicians to improve the health of these children. During the team’s week-long visit to Ho Chi Minh City in January, members worked with and trained a local clinical team led by Dr. Tran Quoc Tuan, an interventional neuroradiologist at the University of Medicine and Pharmacy Hospital. Together, they evaluated and consulted on 38 adult and pediatric patients, providing recommendations on how to best manage their vascular anomalies. Of those patients, the clinical team selected 13 to treat using techniques such as embolization, which involves the injection of special medications into abnormal blood vessels under ultrasound and X-ray. These treatments are common across the globe but can only be appropriately performed by highly trained medical professionals and require an experienced support team, such as a pediatric anesthesiologist, interventional radiologist, interventional radiology nurse practitioner and interventional radiology technologist proficient in the procedures. Texas Children’s brought all of the above to the Vietnam VAC, enabling several children, including a young boy whose vascular lesion was impeding his ability to breathe, to get the appropriate treatment and go home with a chance at a drastically improved life. Texas Children’s pediatric anesthesiologist Dr. Helena Karlberg emphasized the importance of having a multi-disciplinary approach available to patients at the Vietnam VAC and described the role of the anesthesiologist as one that includes early planning of airway management in patients undergoing procedures of the head and neck regions, and monitoring for, and treatment of any adverse effects by agents used during vascular anomaly care. 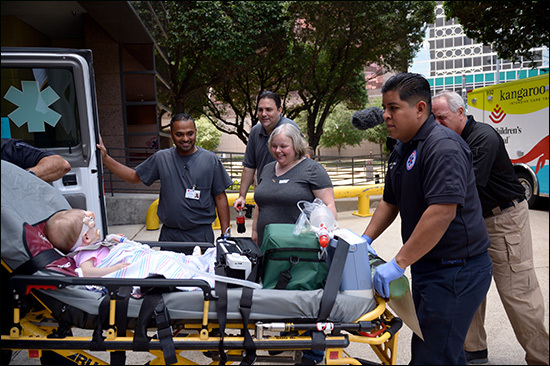 To ensure that patients receive the highest quality treatment, the Texas Children’s Hospital medical team plans on traveling to Vietnam each year to treat patients and to continue training the medical staff at the Vietnam VAC. In the meantime, the Texas Children’s team will consult with physicians in Vietnam on patient management via email, telephone and video conference. Anesthesiologist-in-Chief Dr. Dean B. Andropoulos recently authored an article in the New England Journal of Medicine (NEJM) about the December 14 U.S. Food and Drug Administration (FDA) drug safety communication about prolonged or repeated anesthetics in young children and pregnant women in their third trimester. A single, short exposure to anesthesia appears to be safe. There is some evidence that longer (>3 hours) or repeated exposures could have negative effects on behavior or learning. Much more research is needed. As a result of the communication and after deliberating with leaders in his department as well as the Department of Surgery and risk management, Andropoulos said in the NEJM article that Texas Children’s Hospital has changed its anesthesia practice and will discuss the warning before surgery with the parents of all children 3 years of age and younger. In addition, Andropoulos said in the article, Texas Children’s Hospital has adopted the warning’s recommendation that a discussion occur among parents, surgeons, other physicians and anesthesiologists about the duration of anesthesia, any plan for multiple general anesthetics for multiple procedures, and the possibility that the procedure could be delayed until after 3 years of age. Parent-education materials that cover these topics also will be made available to our patients and their families. For more information, please contact the Texas Children’s Hospital Department of Anesthesiology, Perioperative and Pain Medicine at ext. 4-5800. To read a blog by Andropoulos titled “Anesthesia and Your Child,” click here. For most of Kaitlyn Ennis’ 12-year life she has been in physical pain due to pancreatitis, a disease doctors diagnosed her with when she was just 18 months old. In the beginning the condition and the pain were acute, coming and going in spurts. 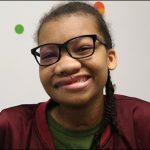 The past year or so however, Kaitlyn has endured chronic pain on an almost daily basis, causing her to miss school and spend more time than she would have liked in the hospital. 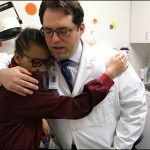 In January 2015, Texas Children’s Hospital launched an interdisciplinary pain medicine clinic to treat patients like Kaitlyn, who suffer from chronic pain, a condition that affects 20 percent to 30 percent of children worldwide. 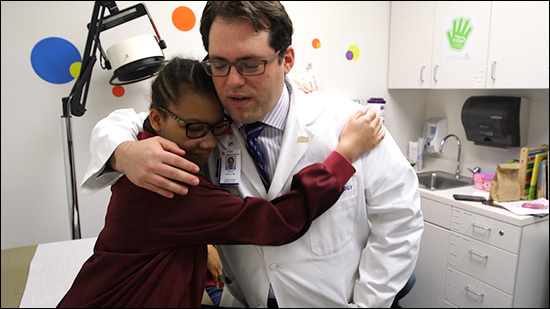 The clinic is part of the Pain Medicine Division of the Department of Pediatric Anesthesiology and is one of the only clinics of its kind in the Greater Houston area. 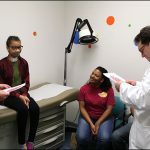 “By the time patients arrive to the pain clinic, they often have seen multiple physicians and specialists and are often frustrated with feeling neglected by the health care system or are feeling a sense of diagnostic ambiguity, as there is often not a clear cut anatomical explanation for chronic pain,” said Grace Kao, a pediatric pain psychologist with the pain clinic and assistant professor at Baylor College of Medicine. In a patient’s initial intake evaluation, members of the pain clinic team provide a thorough pain history assessment, psychosocial interviews and thorough physical exams by pain physicians and physical therapist. All of this information is used to help develop a comprehensive treatment plan which is shared with the family in a joint feedback session at the end of the appointment. Knowing pain can affect so many parts of life, the pain clinic team typically provides recommendations in multiple arenas: medication management, medical procedures, lifestyle changes, physical and occupational therapy, school accommodation and pain psychology. When Kaitlyn and her family first came to the pain clinic, they were looking for a way to manage the girl’s chronic pain without admitting her into the hospital. After examining Kaitlyn, the team at the pain clinic put her on a medication regime and armed her with tools in pain psychology, including guided imagery. Soon thereafter, Kaitlyn and her family were managing her episodes of acute pain in the comfort of their home instead of taking her to the hospital. Kaitlyn’s chronic pain was nearly gone. 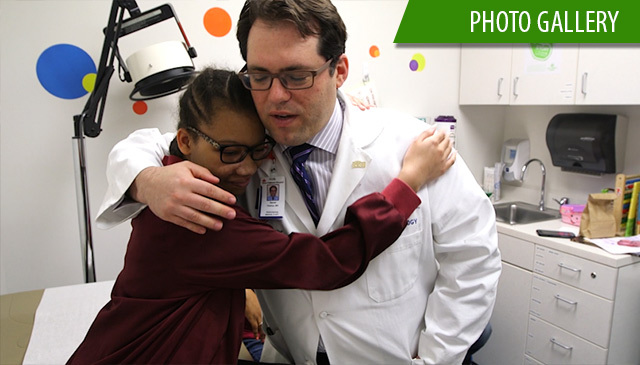 Dr. Caro Monico, a member of the pain medicine clinic team and an assistant professor of pain management at Baylor College of Medicine, said the foundation of the clinic’s treatment is to reintegrate children into school, physical activity and normal life. 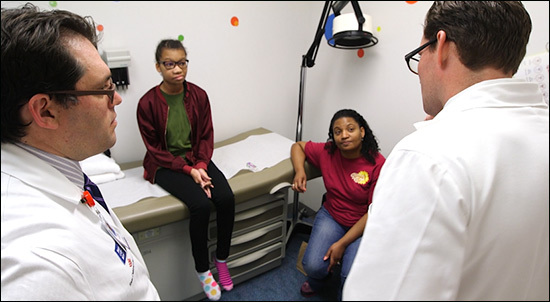 Since opening, the pain clinic has seen thousands of patients from around the United States. A director will be coming on board in September and the staff has grown to nine inpatient pain medicine physicians, four chronic pain physicians, two nurse practitioners, two physical therapists, one pain psychologist and one pain registered nurse. For more information about the clinic, click here. A team of nurses, surgeons, and anesthesiologists from Texas Children’s Hospital’s Main Operating Room recently participated in a medical mission in Antigua, Guatemala. The mission was coordinated by Faith in Practice, a Houston-based organization dedicated to the medical care of indigent people in Guatemala. The 44-member team that went consisted of medical and surgical staff from hospitals in the Medical Center and out of state. 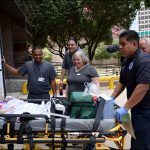 Among the volunteers from Texas Children’s were Drs. Olutoyin Olutoye, Oluyinka Olutoye, Robert Power, David Mann and Stephanie Cruz; certified registered nurse anesthetists Nate Jones and Megan Koudelka; and registered nurses Karen Bustos, Debra Batiste and Juan Sale. 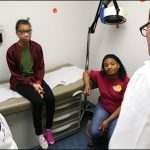 Focusing primarily on pediatric patients, the team performed nearly 140 surgeries in just four days, including inguinal and umbilical hernias, orthopedic surgeries, podiatric cases, and dental extractions conducted in support of the people of Antigua. Glass, the group coordinator for Texas Children’s, said she has been participating in similar mission trips since 2002 and has gone to Guatemala 15 times. 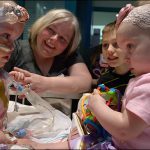 “This activity is open to all surgeons, operating room nurses, anesthesia staff, recovery room nurses, and especially bilingual people,” Glass said, adding that financial donations will help support the mission as well as donation of unused OR supplies. According to the organization’s website, Guatemala is considered extremely impoverished in comparison to other South American countries. Half of Guatemala’s 14 million people live in poverty, which is defined as living on less than $2 per day. In addition, the vast majority of Guatemalans have virtually no access to public health care. In spite of these deficiencies, The Faith in Practice organization has made a significant impact on the people of Guatemala. In 2015 alone, 1,200 US volunteers travelled to Guatemala to participate in the mission activities coordinated by Faith in Practice. As a result, a total of 2,400 surgical procedures were performed and 25,000 Guatemalan patients were seen by the medical mission teams. 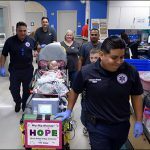 Texas Children’s Hospital is extremely proud of this team and their selfless dedication to service.